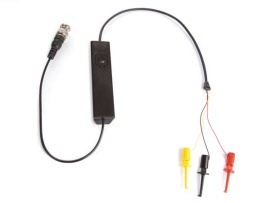 High quality replacement oscilloscope probe set with insulated BNC connector. 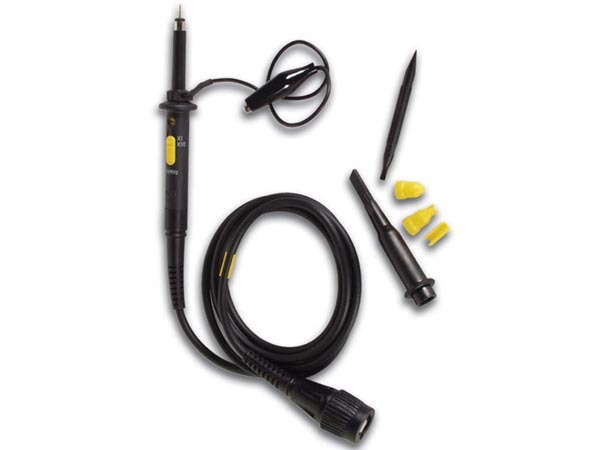 A passive, high impedance oscilloscope probe designed and calibrated for use on instruments having an input impedance of 1Mohm shunted by 25pF. 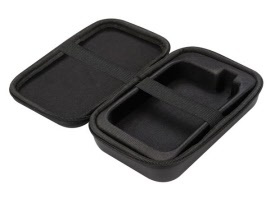 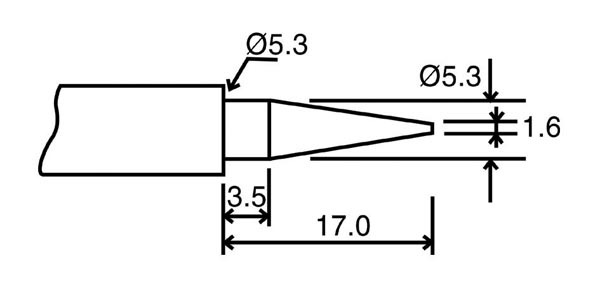 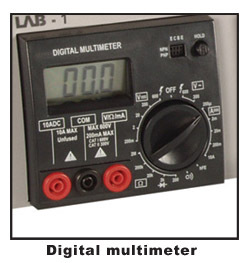 However, it may be compensated for use with instruments having an input capacitance of 10 - 35pF. 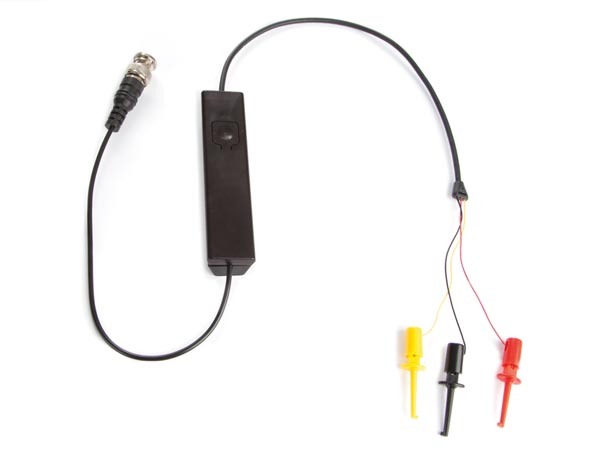 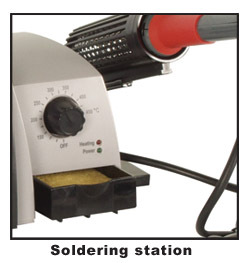 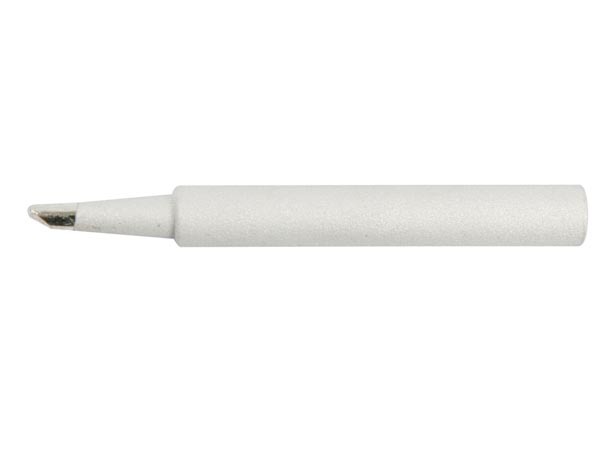 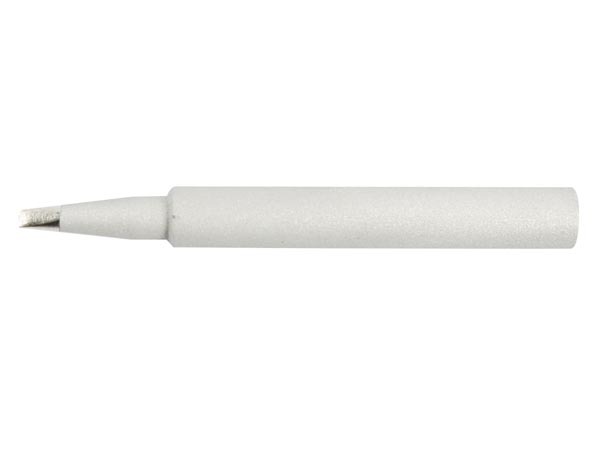 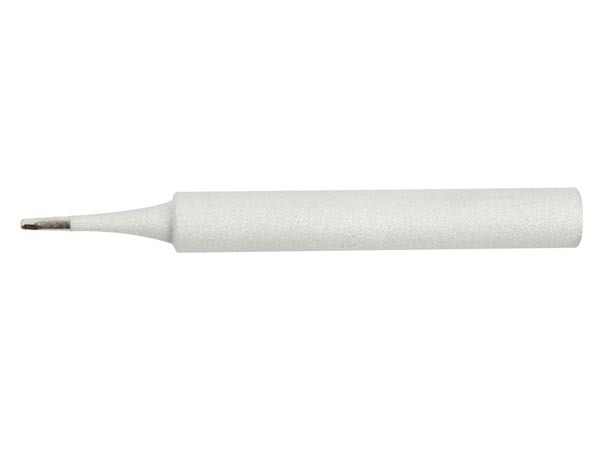 The probe incorporates a two position slide switch in the head which selects attenuation of X1, X10 position. 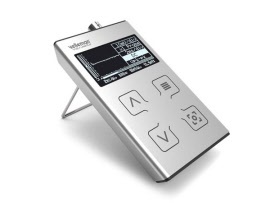 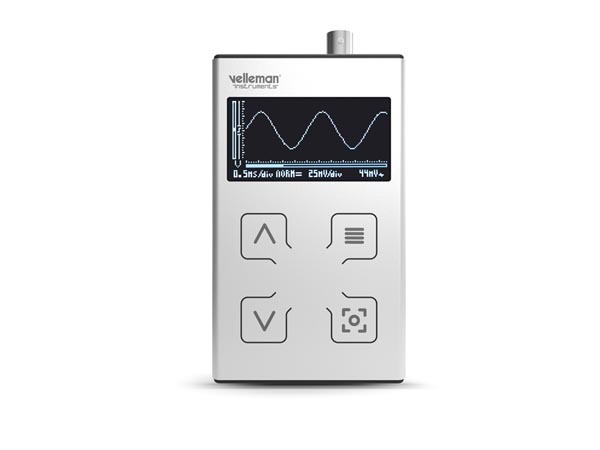 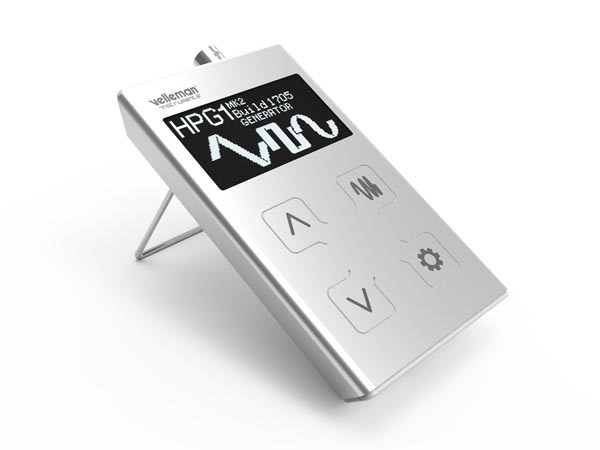 Velleman hand held function generator HPG1Mk2 is a stylish piece of test equipment with an OLED screen and full of features. 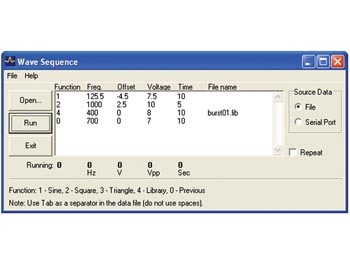 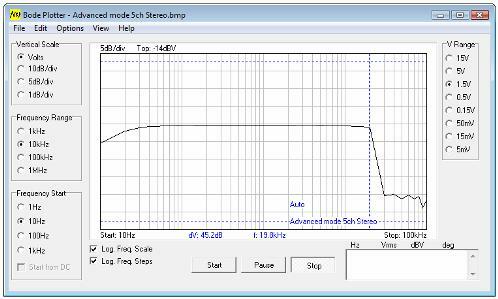 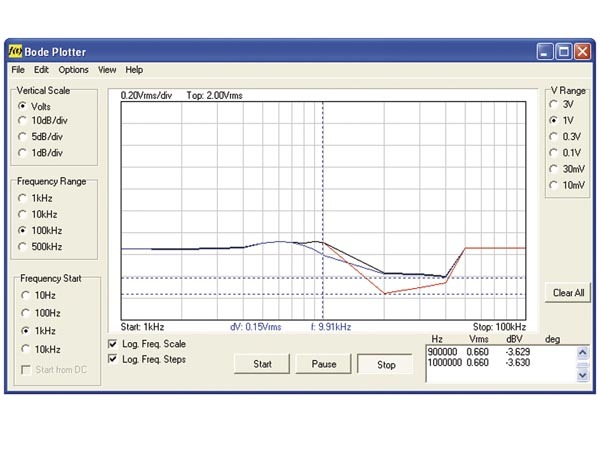 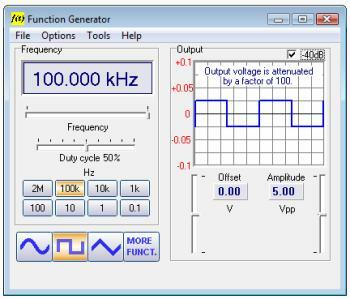 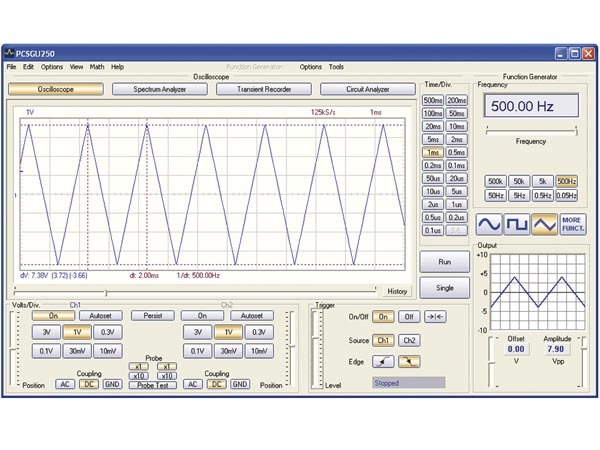 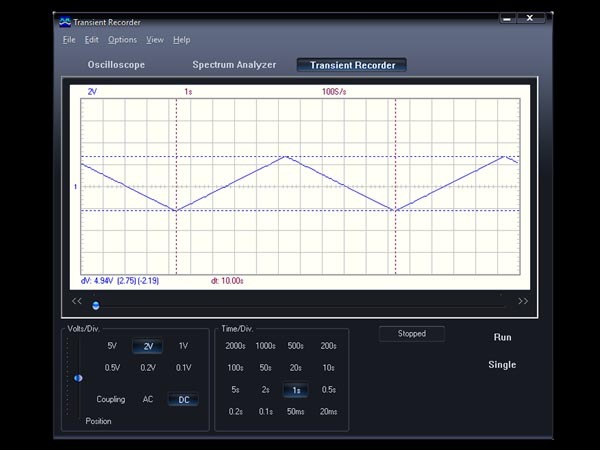 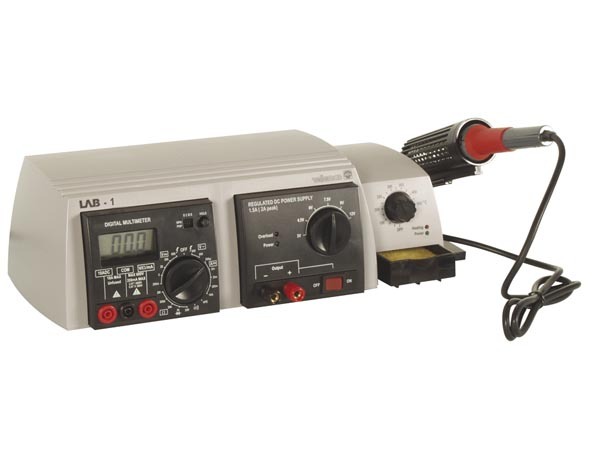 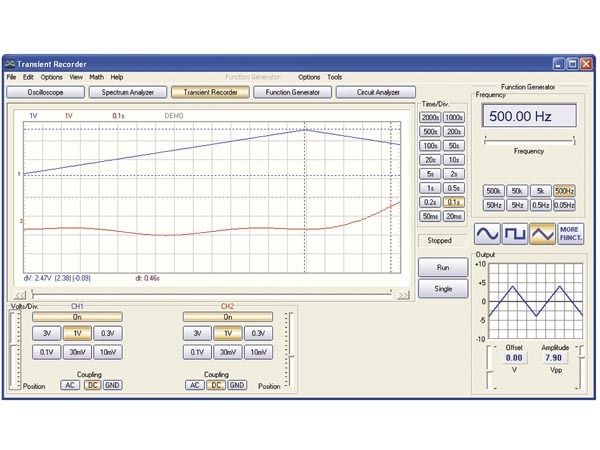 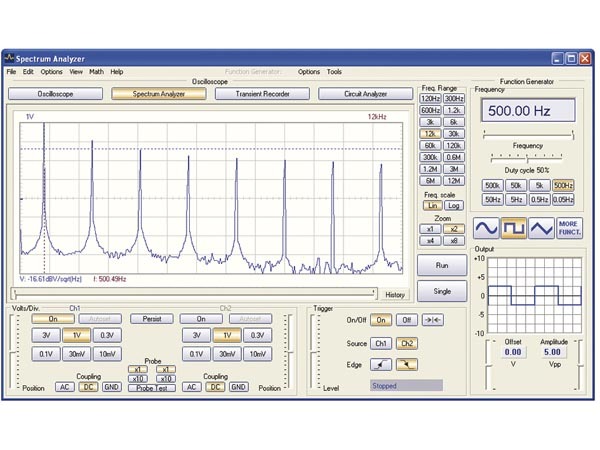 Set the output voltage or frequency and select a signal waveform by using the on screen menu. 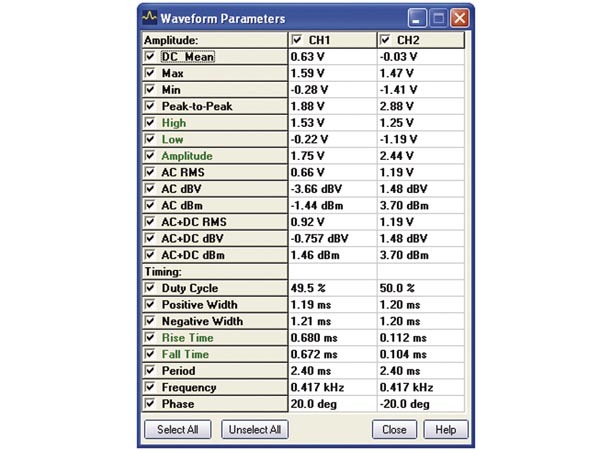 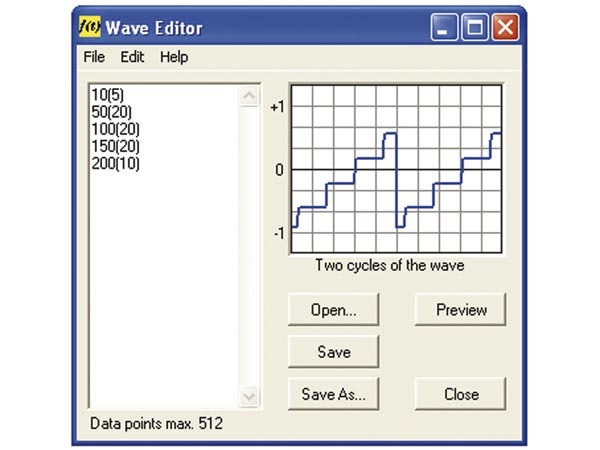 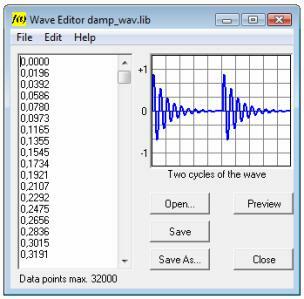 Three waveforms can be selected and a powerful sweep function is also included. 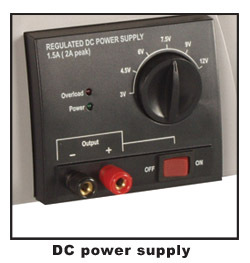 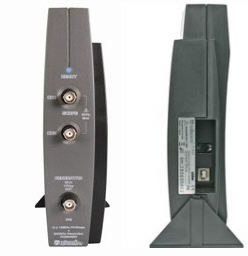 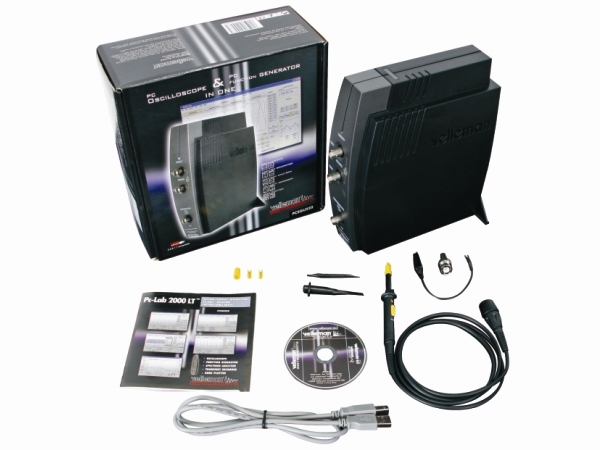 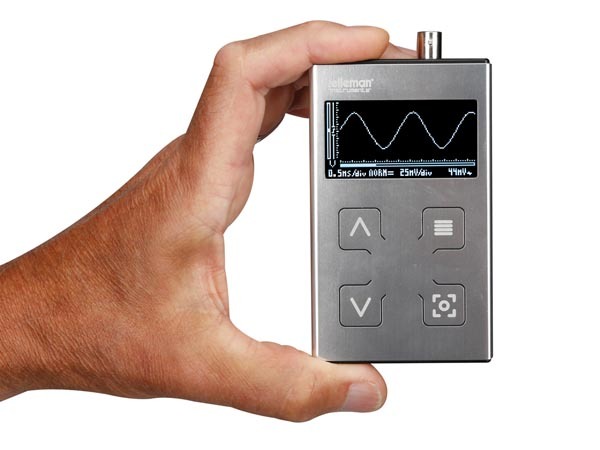 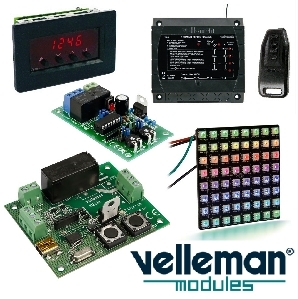 Record DC or slow moving signals over very long periods with this 4 channel signal recorder. 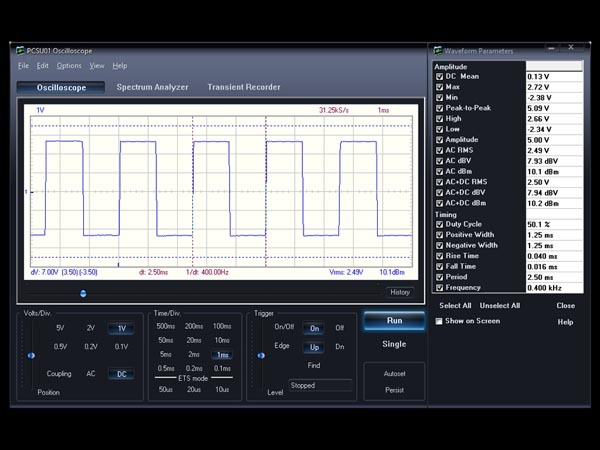 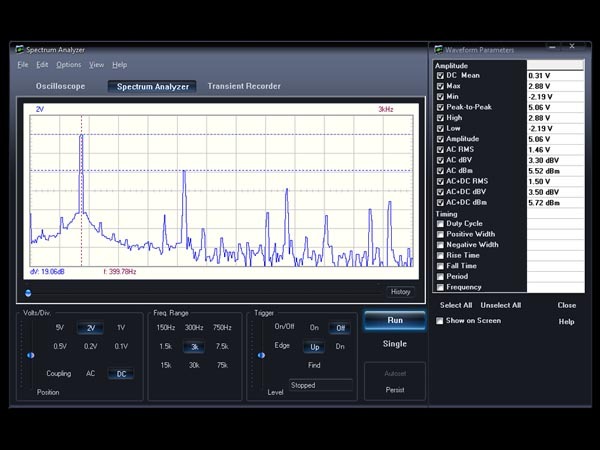 Signals are instantly displayed on your PC screen using an analogue or DVM display and all your measurements are automatically stored on your hard disk for further processing. 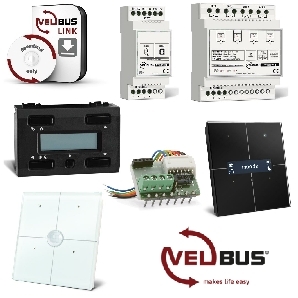 Thanks to the USB connection no power supply is necessary and installation is easy and straightforward! 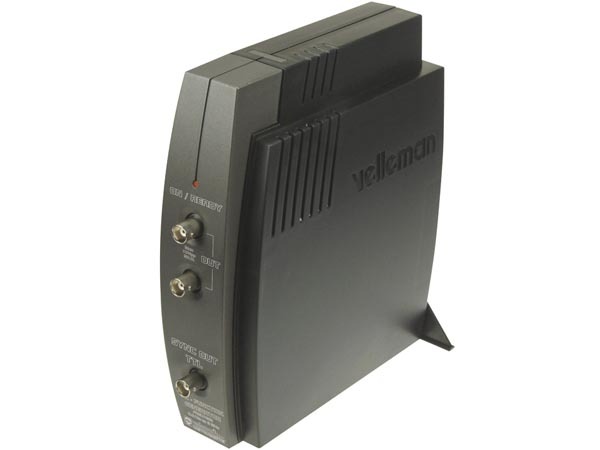 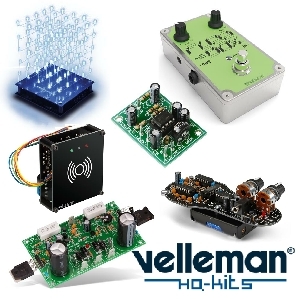 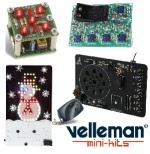 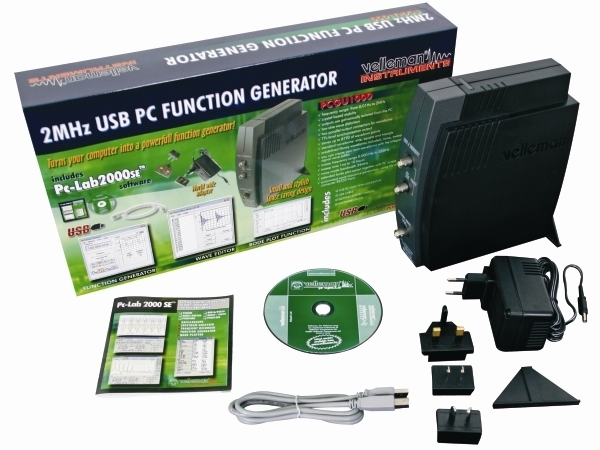 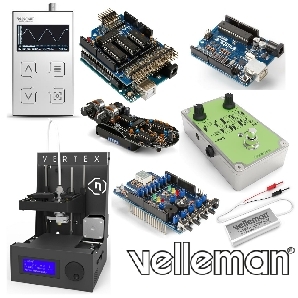 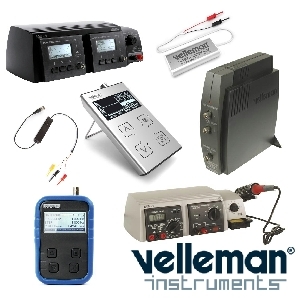 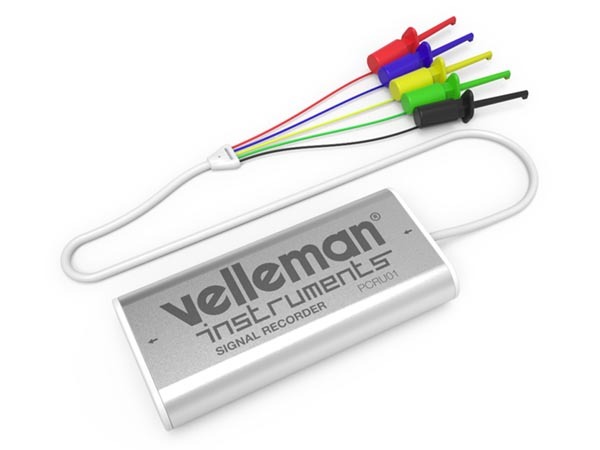 The Velleman PCSU01 is a small and easy to use oscilloscope with all the features of a full blown oscilloscope. 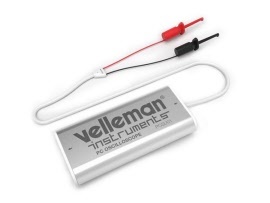 Complete with instructions (download), test leads and software (download) and it comes in a design enclosure.